Hey guys. 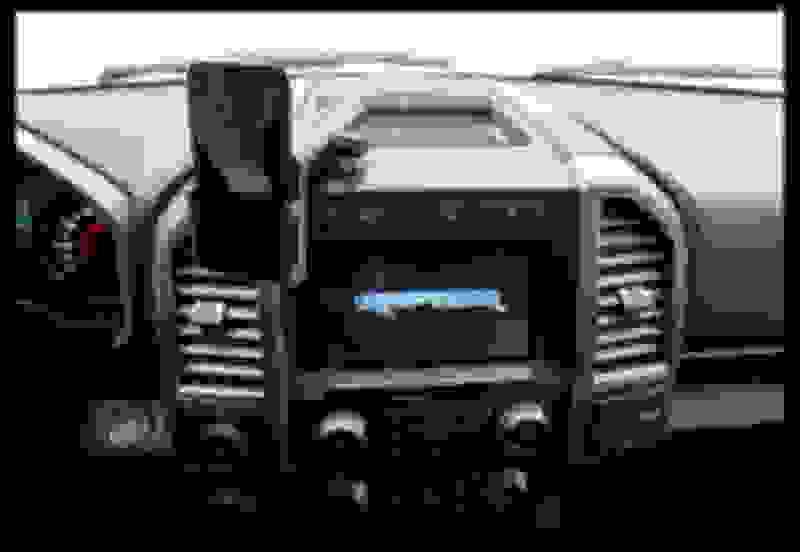 2017 F-150 here and wondering what the best cell phone holder is out there. I'd like something that mounts up higher so I can touch the phone and it won't move all over. Let me know price and where I can get it if you could please. Also the good and not so good about your particular cell phone holder. Pictures encouraged! This is the one I have, I got it just before Christmas a couple months ago. I like it so far, It doesnt "fast charge" but it keeps up with all the use I put it through with no issues. I just set my phone on the prongs and it closes on the phone, and when i need to take it off i just push the side buttons and it opens up. The suction cup part works pretty well. Ive used it on the dashboard and it stayed for a couple weeks. I actually mount it in the center dash area now and have it above my Sync. I can take a pic of how I have it mounted if youd like. It seemed the be the best place for me, I tried it up high on the windshield,but too much in the way, I had it in my explorer on the left side of the steering wheel and I didnt mind that. this is what I do. I'm sure there are better spots. And much better mounts. 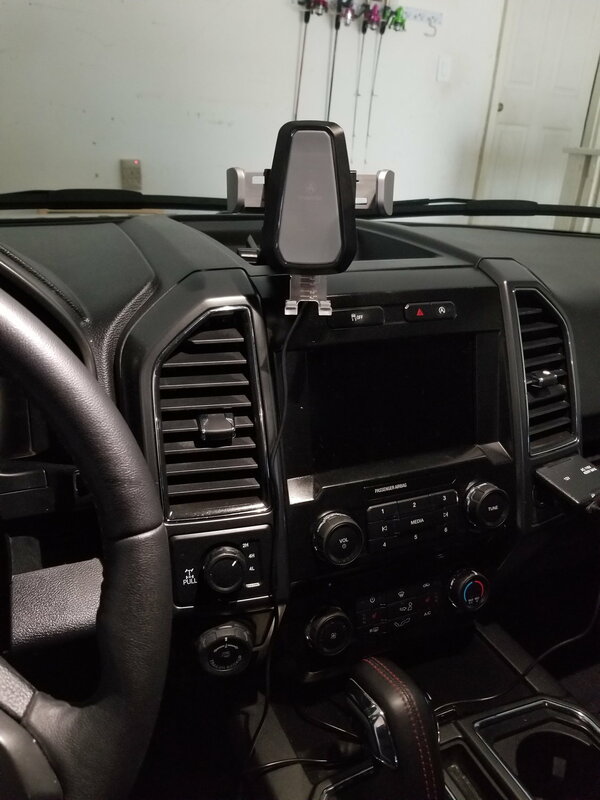 I have a magnetic mount in the right side lower corner of the left a/c vent and when my phone is there, the coin holder angles the phone toward me. It works pretty well. 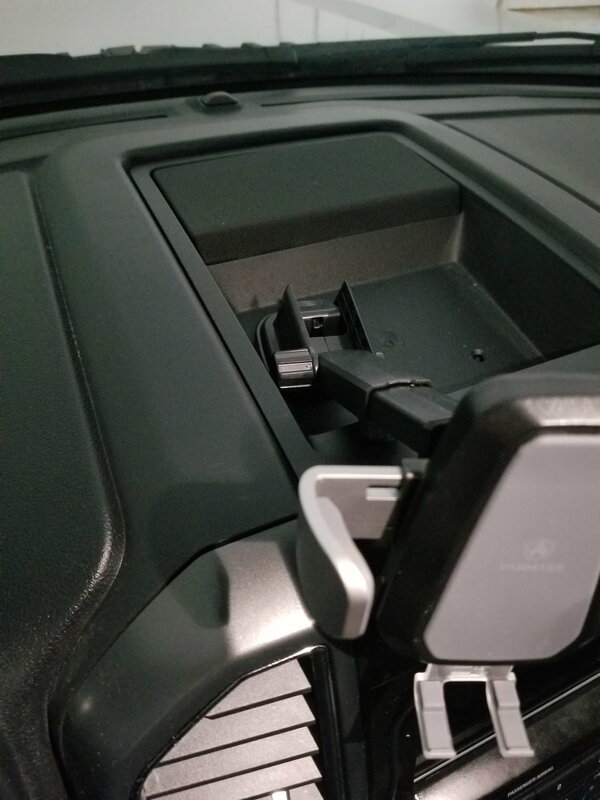 I’m drawing a blank right now, but it’s the same company that makes the rear seat de-latching device... they make a bracket that attaches in the dash tray, and you can attach a standard ram mount to that bracket, that will set your phone just to the left and above your center screen. In fact, I’ve been meaning to order one, so I’m going to look it up right now and order one. I like the Exogear CD slot mount. If you have a CD player and use it as little as I do. It works great, one hand mount/ dismount and it’s down and out of the way. Got them for all my vehicles. $30 on Amazon. Check out proclip USA for a custom mount for your truck. I think you will be pleasantly surprised. Very strong, great positioning for heads up navigation, does not move sound while driving! I personally believe this location is the best in the truck. The phone stay up high out of the way, doesn't block air vents, doesn't interfere with oem screen, is in an easy location to run a charging cord through the dash, super easy to attach. Just remove the rubber mat and function the mount onto the tray.